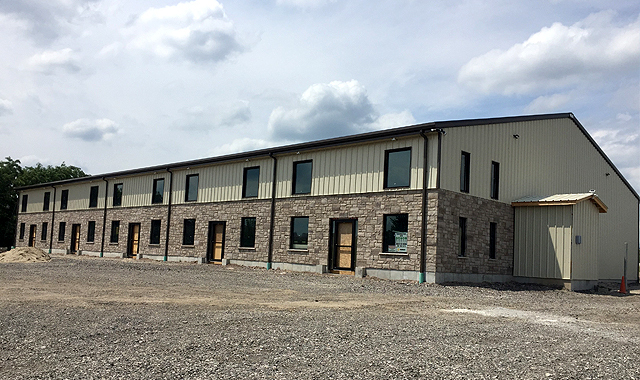 A contractor’s unit in its best form, this custom building delivered to Woodstock, ON is broken into bays and leased for rent to contractors in the area. It measures 80′ x 150′ x 18′ in size and includes a custom masonry front wall. Olympia was on site during the construction and was happy to help throughout the process. Design by George Zakhem Chief estimator at Olympia.